Nikon SMZ745 but provided at much lower price ! ■ Simul 3-way FOV enables observation/shooting at the same time with no optical path switching. ■ Special C-mount enables synchronized focus (parfocal feature) as well as perspective correction. 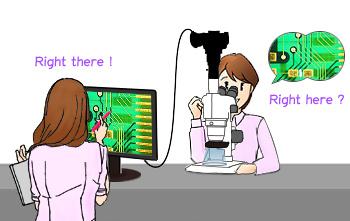 ■ Diopter compensation corrects different prescriptions in the left and right eyes. ■ Large working distance of 110mm. ■ No focal shift and left/right magnification differences. 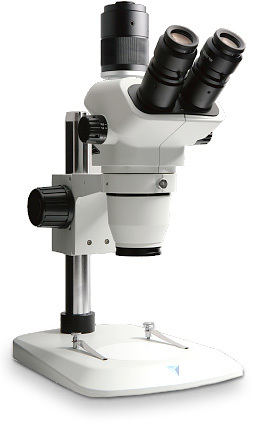 ■ Total magnification 6.7x - 45x. 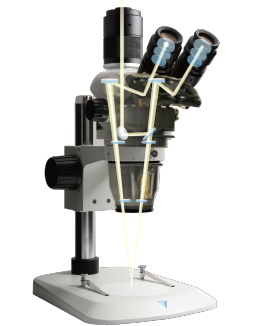 With Simul 3-way FOV system, sample image would pass through 2 different optical paths at the same time, one to eyepiece and other to trinocular port. It enables observation and documentation simultaneously without need of swiching optical paths each time and broadens possibility to wider range of applications . 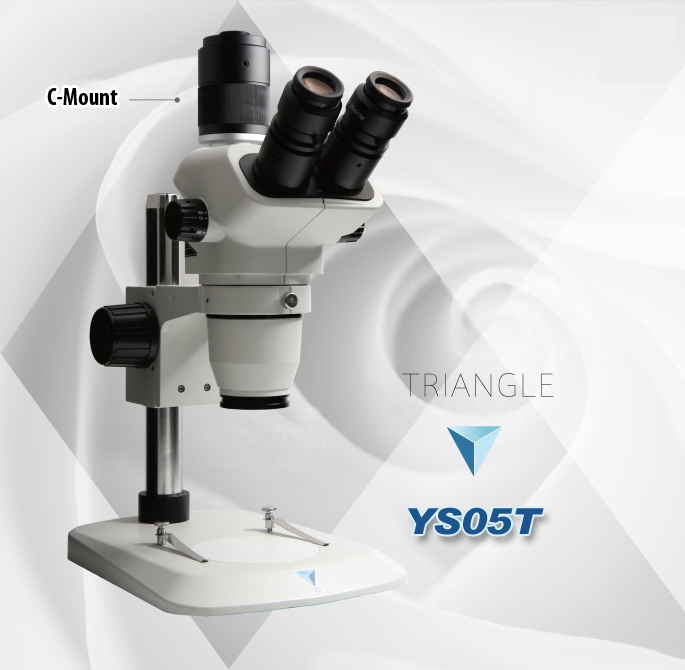 YS05T's perfocal feature let you focus on eyepiece and camera images simultaneously. Perspective correction feature also enable to match the center of those two images as well. 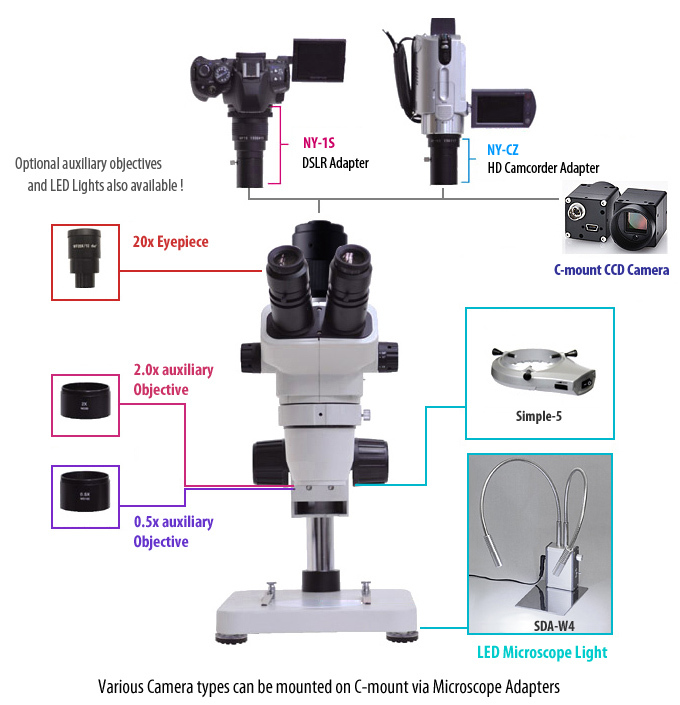 Observation and shooting with microscope became evermore easy with YS series ! Canon EOS DSLR with remote live-view feature. image with smartphone. Rigid body, PC direct USB camera.Installable directly to trinocular C-mount of YS05T. ring light with dimmer control. High quality product at low price ! Low price LED twin arm light. Slim and vertical power unit need minimal space to setup. Blue and Cyan LED also available. Powerful, white LED transmitted light with dimmer control unit. Blue and Green LED type are also available.